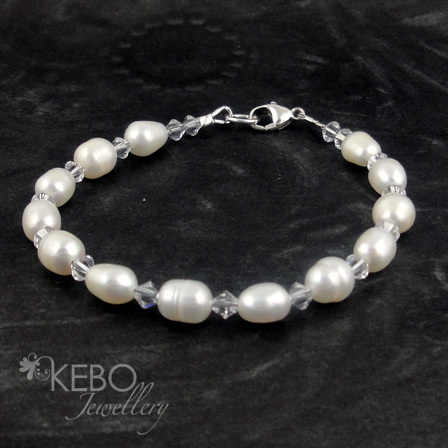 This bracelet is made to order with Swarovski crystals, Fresh Water Pearls and sterling silver. 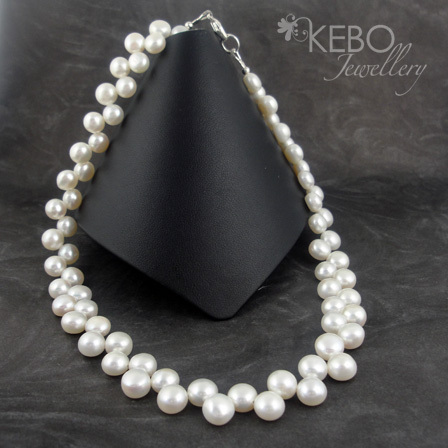 The great thing about made to order/measure is that your jewellery can be made to your specifications therefore if you want to change the design or colour, this may be possible. This braclet can be made in many colours. Please complete the box below for your item to be made in your choice of colour (please allow 2 weeks for your piece to be made). 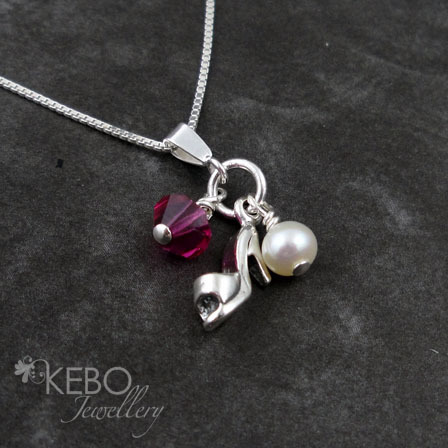 To view the different colours of Swarovski Crystals, please click here. Please note that some colours are not available in every crystal design. If I am unable to source the colour you require, I will contact you within 24 hours from purchase.